Prepare in less than a year to enter a rapidly growing field with College of the Mainland’s Pharmacy Technician Program. Pharmacy technicians form an integral part of patient care. They measure, label, mix and dispense prescription medication while working under licensed pharmacists. With the patient’s health and medication safety in mind, successful pharmacy technicians must be accurate, precise and detailed, while treating patients with compassion and empathy. Through hands-on labs, classes and internships, students learn the skills needed to launch a rewarding career in health care. Program instructors, who bring professional experience as pharmacy technicians or pharmacists, give students individual assistance. Students spend 160 hours in internships at a community pharmacy and a hospital pharmacy. Internships provide valuable work experience and often lead to job opportunities. After completing the certificate program, students are prepared to take the national Pharmacy Technician Certification Exam. Of the 2014 COM graduates taking the exam, 100 percent passed on their first attempt. Certificate graduates may enter the workforce immediately and/or continue for a second year to obtain an Associate in Applied Science in pharmacy technician for greater career opportunities. Employment of pharmacy technicians is projected by the Bureau of Labor Statistics to grow 20 percent from 2012 to 2022, faster than the average for all occupations. Technology and an aging population are among the factors fueling the field’s growth. 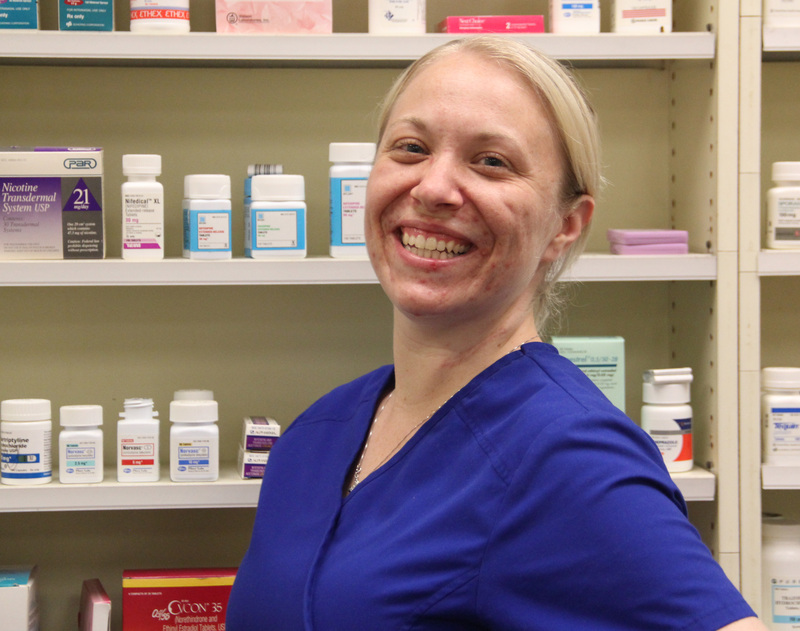 Pharmacy technicians find full or part-time employment in grocery and drug store pharmacies, mail-order facilities, hospitals and long-term care facilities. The median annual wage for pharmacy technicians in 2012 was $29,320. 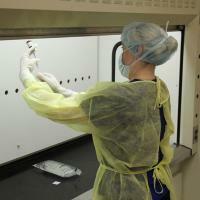 Pharmacists and pharmacist technicians can take one course – Sterile Preparations – to gain IV certification needed to work in hospitals. Tuition, fees, books, a background check, drug screens and licensing fees total around $2,500. Financial aid, however, may cover tuition, fees and books. For financial aid information, call 409-933-8274. “I already had a job lined up as I was finishing the program." -Ann Greco Read her story.